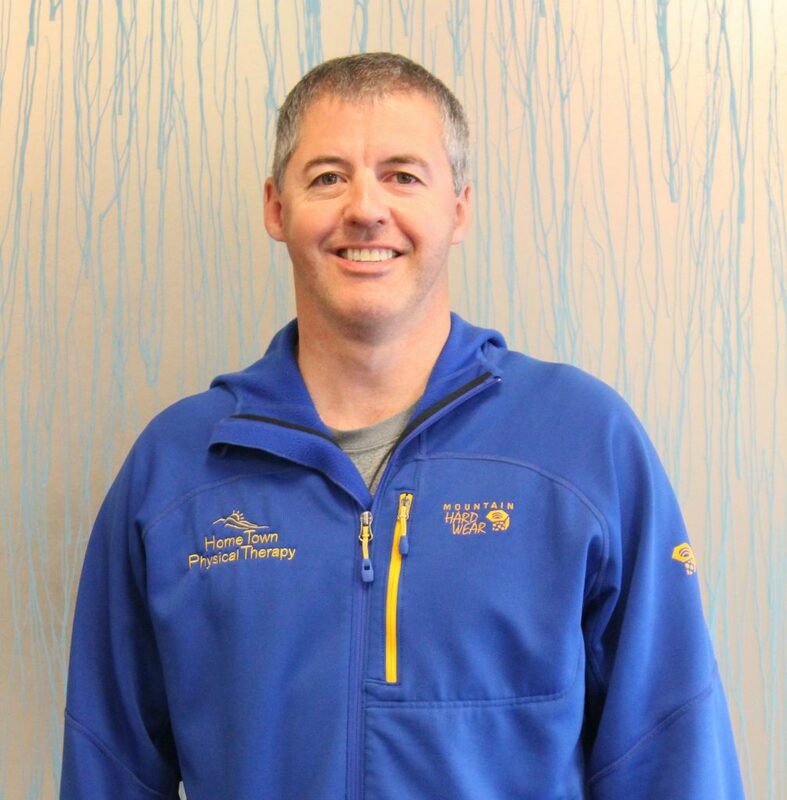 Greg Milles, PT is a 4th generation Fairbanksan and attended West Valley High School. During his senior year he moved to Indianapolis to play Junior A hockey for two seasons before returning to Fairbanks on a hockey scholarship. He graduated from UAF in 1996 with the Joel Wiegert Award (for outstanding male graduate) and the Outstanding Scholar Athlete Award while playing four seasons of Div I Hockey; he then graduated with his Master’s of Science in Physical Therapy from Pacific University in 2000. He met his wife while working at the Southwest Washington Medical Center and was married in 2002. Shortly afterwards, they had their first son in 2004 and decided to make the move back to Fairbanks where they started Home Town Physical Therapy in July 2004. Greg & Kelly had three boys and a girl, and enjoy spending their free time attending their sporting events, as well as, coaching them in hockey & soccer. Greg continues to be active in youth hockey as the Coaching Coordinator for Hockey Club Fairbanks and the Arctic Lions Tier 2 programs, serving on both Organizational Boards, as well as, coaching with his two oldest sons’ teams. Over the past 17 years, Greg has developed a strong interest in working with all levels of athletes from the recreational to professional levels, and thoroughly enjoys the post-surgical rehabilitation process. His background allows him to focus on body awareness, exercise progression and use of manual therapy to return patients to their improved state of activity. Anne Mucha, DPT, Erin Reynolds, PsyD, Audrey Paslow, DPT. ImPACT Training. Anaheim, CA. Brian Folk, PT, MCTA, FAAOMPT. Northeast Seminars. Betsy Meyers, MHS, MPT, OCS, CWS, CLT. Motivations, Inc. Fairbanks, AK. Shirley Sahrmann, PT, PhD, FAPTA. AKAPTA. 15.9 hours. Bob Helfst, PT; Sue Stover, PT. Performance Dynamics. Portland, OR. Gina Musolino, PT. University of Utah/Alaska APTA Chapter. Anchorage, AK.